The contemporary art exhibitions of today face new challenges (economic, media…) and must be conceived as true productions in order to address them. 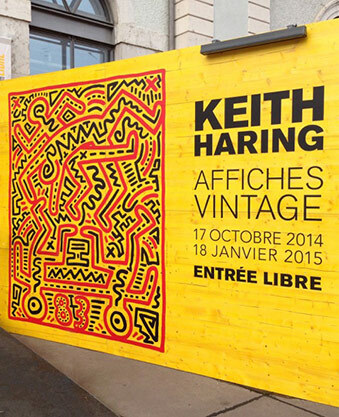 Keith Haring - Vintage Posters,Quartier Libre – SIG, Geneva, October 17, 2014 – January 18, 2015. Exhibition organized by Jérôme de Noirmont. © The Keith Haring Foundation.